Why would I need self storage in Rockledge, FL? There are a variety of reasons why you might need self-storage in Rockledge, FL. How much is a storage unit in Rockledge, FL? The cheapest storage unit in Rockledge, FL is $40.00 per month. What size storage units do you have available in Rockledge, FL? In Rockledge, FL we have sizes that range from 5'x5' to 10'x20' to suit your storage needs. How much is it for a 5'x5' storage unit in Rockledge, FL? The cheapest 5'x5' storage unit in Rockledge, FL is $40.00 per month. Rockledge is the oldest city in Florida's Brevard County, home to a small but thriving population that's been drawn to the area thanks to an affordable cost of living, sunny weather and an abundance of water recreation. With easy access to Orlando and other points of interest along the coast, Rockledge makes a great home base for experiencing the best Florida has to offer. 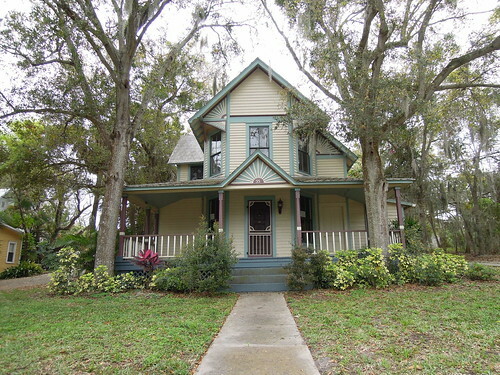 Rockledge was officially established in 1867. It was named for the rock ledges alongside the Indian River, although some residents continued calling the town by its old name, Peru, up until the 1940s. Many locals also split the name into two words (Rock Ledge), well into the 19th century. The early economy of Rockledge relied on citrus trade and tourism, taking advantage of the nearby Atlantic Intracoastal Waterway. During the late 19th and early 20th centuries, the town established several hotels to service the large numbers of Northern tourists that were attracted by the promise of a warm, sunny winter. It became a popular Florida resort town, with the winter months seeing the population swell from a couple hundred residents to nearly two thousand. During the 1960s, Rockledge became a bedroom community for the Kennedy Space Center, drawing in large numbers of families from around the country. Today, it's mostly known for its aerospace and technology industries, which is no surprise given its proximity to Cape Canaveral. The city's economy is comprised of several diverse industries, which is good news if you're planning to search for a local job. The largest sector by far is education, health and social services, followed by manufacturing. These two fields alone make up more than a third of the Rockledge economy and provide a variety of jobs. Professional, scientific, management and administrative services are also a significant part of city industry. Rockledge also hosts several large events, which has fueled a small but growing hospitality industry. These events include the Light Up Rockledge and Holiday Parade, the Cruise-On-In Car Show and the National Night Out. Rockledge schools are served by Brevard Public Schools, and students are generally assigned to a school based on their home's location. There are a handful of private schools in Rockledge, mainly Christian-based campuses for secondary students. Utilities: The primary electricity provider in Rockledge is Florida Power & Light. The city oversees water and sewer services. Garbage and Recycling: Trash, recyclables and yard waste are collected on a regular schedule throughout the residential communities of the city. Transportation: Space Coast Area Transit serves Rockledge and the surrounding Space Coast communities. Rockledge offers six distinct neighborhoods, most of which cater to the city's predominately white-collar workforce. There are a variety of homes throughout the city at various price points, making it easy to find something within your budget. Our lowest priced units in Rockledge, FL average $40.00 per month. 37 people have reserved units in Rockledge, FL in the past 30 days. There is 1 location within Rockledge, FL's city limits. There is 1 location in Rockledge, FL that offers AC and Heating features.